The most popular type of Garage Door is by far our steel Up and Over Doors. These are available in a variety of different designs with a huge range of colours to choose from. All powder coated finishes. They can be supplied with a steel goal post frame eliminating the need for an old, wooden door frame. All doors are available with either Canopy or Retractable spring assisted lifting gear allowing for smooth, safe and reliable operation. 10 year warranty as standard. 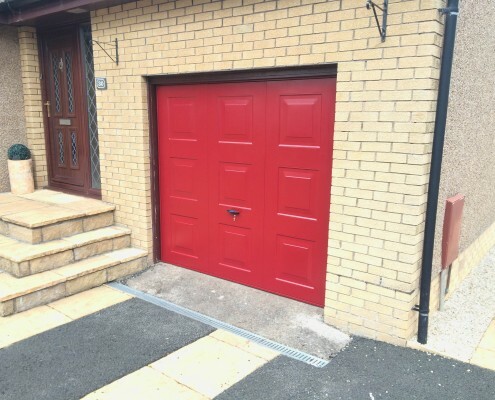 Contact us if you would like to find out more about our up and over doors or if you would like to arrange a free site survey. Fill in your details below for a free quotation for an Up And Over Garage Door.